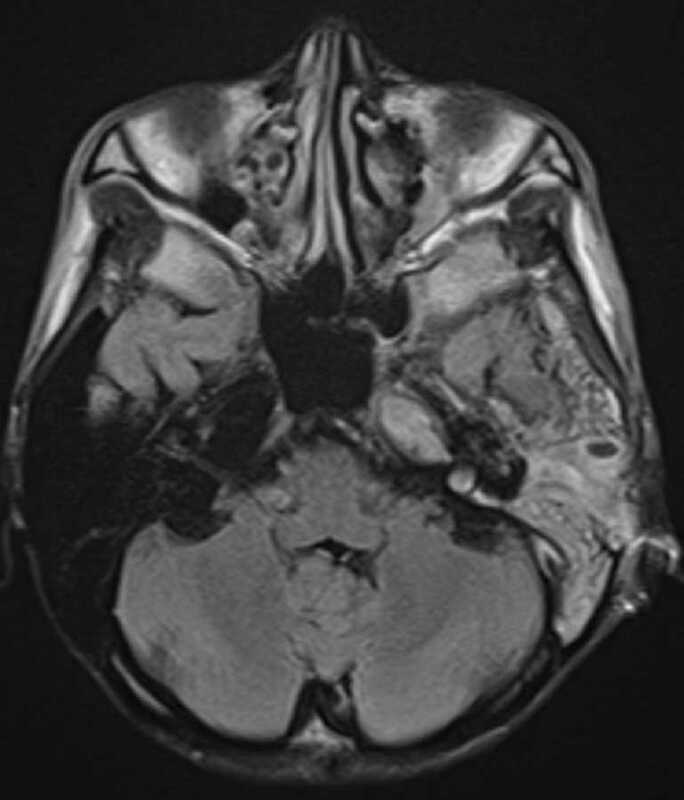 These images demonstrate complete opacification of the left mastoid air cells with peripheral air cell enhancement and restricted diffusion in the petrous apex compatible with abscess. 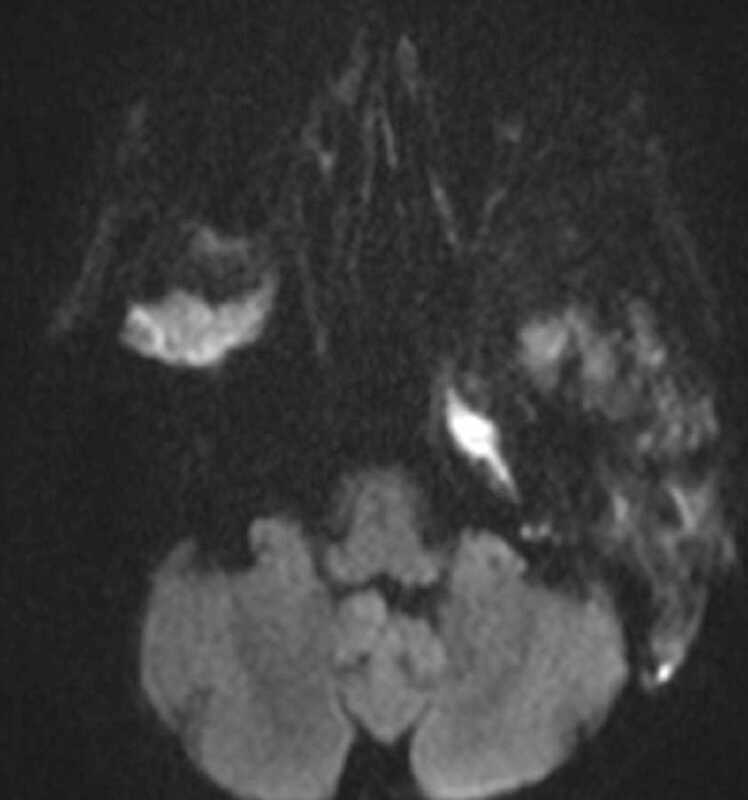 There may be smaller abscesses in the posterior mastoid air cells. 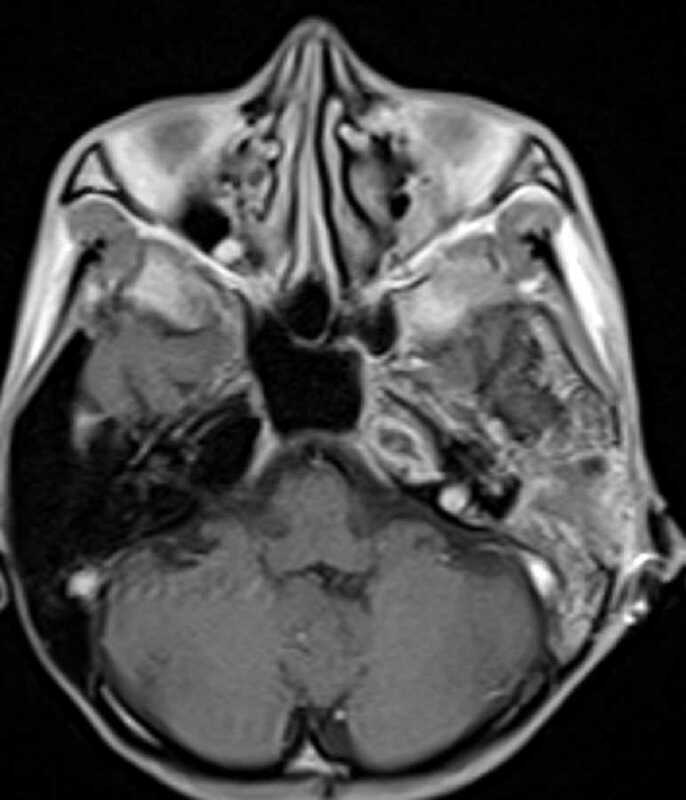 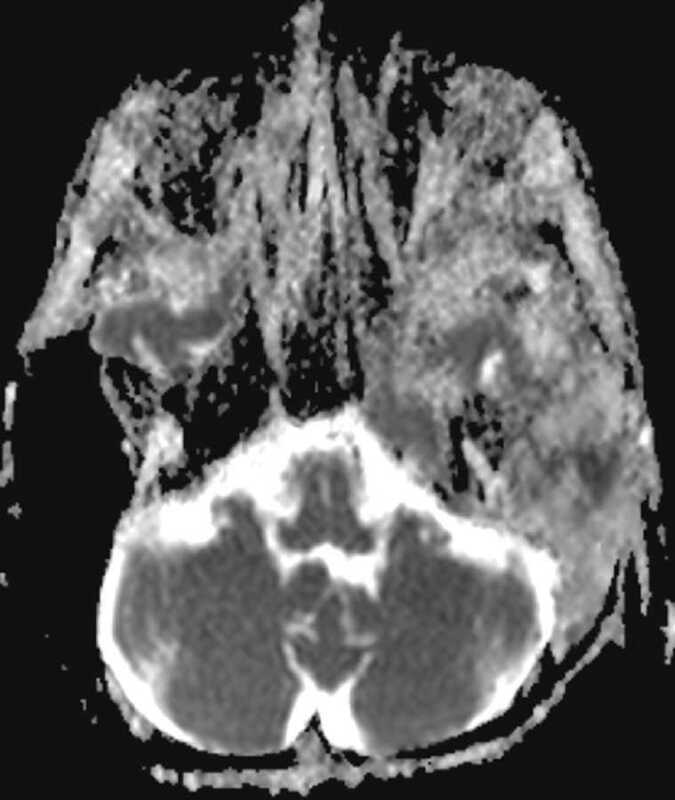 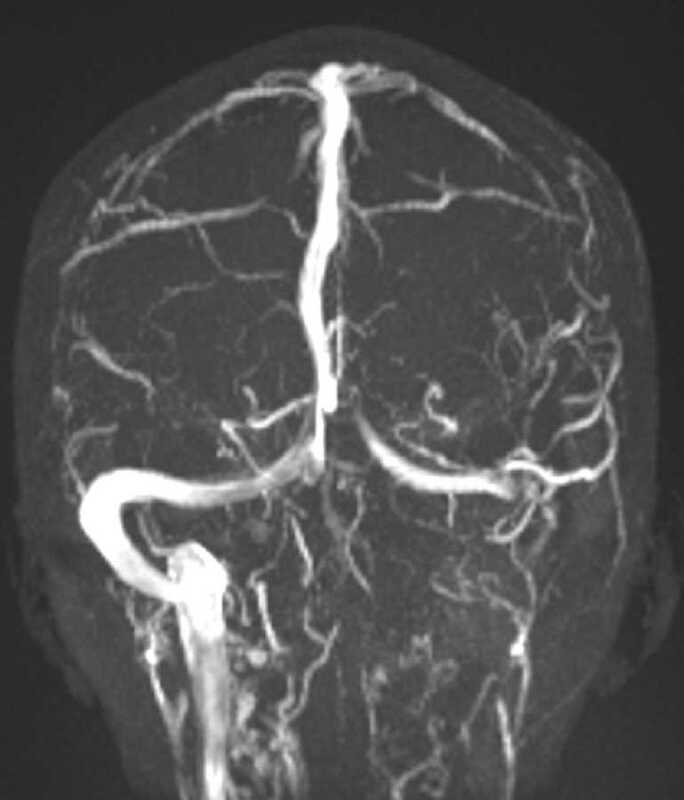 The coronal MRV MIP image shows thrombosis of the distal left sigmoid venous sinus and internal jugular vein, a well known complication of acute otomastoiditis. 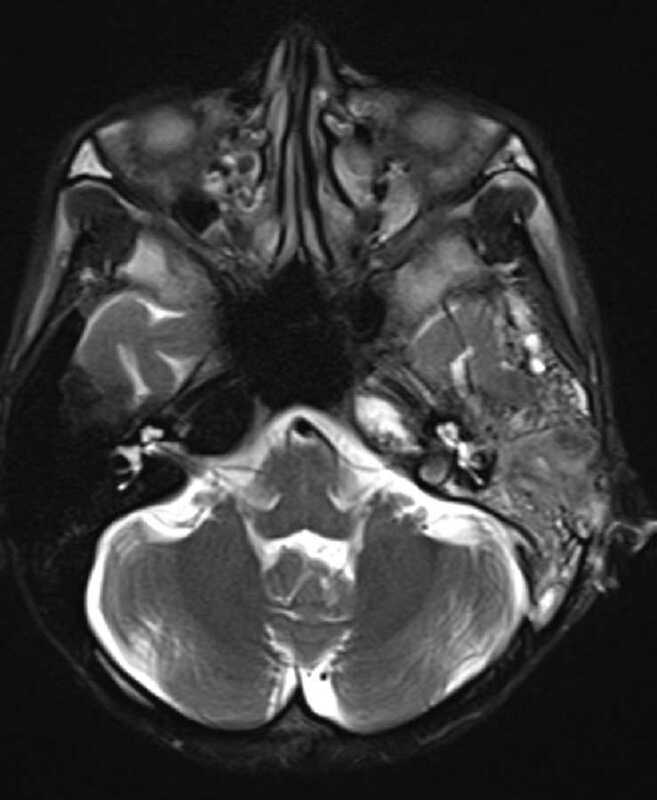 No subperiosteal abscess or extracranial abscess was present.